When it comes to the job interview process, some employers offer an amazing experience that can make you want to join the company on the spot. However, some companies offer an interview experience that may make you want to start your job search all over again. So which companies are getting the candidate experience right? Today, Glassdoor reveals the winners of its inaugural Candidates’ Choice Awards, recognizing employers with the best interview experience, according to those who know best – the job candidates. Specifically, we’re recognizing employers across nearly 50 industries with the highest percentage of job candidates who have reported a positive interview experience over the past year. 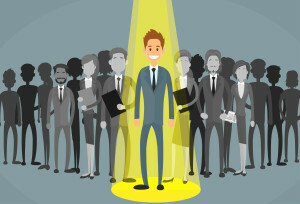 According to feedback shared by job candidates on Glassdoor, winning employers tend to provide a transparent, efficient and organized interview process, while communicating with candidates throughout. How do other companies compare? Check out all companies that met the methodology. Job Candidates: Have something to say about a recent interview experience? Share aninterview review on Glassdoor. Employers: Want to manage your profile on Glassdoor and engage in the conversation? Unlock your Free Employer Account. The Glassdoor Candidates’ Choice Awards recognizes employers across dozens of industries with the highest percentage of job candidates who have reported a positive interview experience over the past year. To be considered, a company must receive at least 100 interview experience ratings, shared by job candidates on Glassdoor, over the past year (8/28/14-8/27/15). In cases where companies have the same positive interview experience percentage, the company with the higher neutral interview experience receives the higher rank. In cases where companies also have the same neutral interview experience, the company with more interview reviews receives the higher rank. A company’s positive interview experience percentage must also meet or exceed that of the average company on Glassdoor (54% average positive interview experience, based on more than 400,000 companies featured on Glassdoor). On Glassdoor, industries represent sub-categories within sectors. Companies are categorized into their respective industries as they appear on Glassdoor. In cases in which a company has no industry affiliation on Glassdoor or its industry affiliation does not reflect its business, the Glassdoor review panel reserves the right to categorize or re-categorize a company based on external references.